It is likely that humans have used Missouri caves as long as people have been here. In places like Graham Cave, (now a state park) human occupation dates to at least to 10,000 BP (before present). Most early use of caves seems to have been of shallow shelters and overhangs like Graham, although in some caves, like Onyx Mountain Caverns in Pulaski County, human use no doubt extended into the interiors. At a few sites, pictographs and rock art have been discovered, which has caused speculation on their ceremonial uses. Most archeological cave sites in Missouri are in sandstone, not limestone or dolomite. The sandstone caves tend to be drier, and therefore more likely to preserve human debris for later discovery. Since the interiors of many Missouri caves are wet, with streams running through them, only the entrances were frequently used as campsites and water sources, with only a few being permanent residences. Chert nodules from caves were mined for use as raw material for tools, cave clay sometimes was used in pottery, and pieces of cave deposits have been found made into jewelry. Other get rich schemes involving caves began to materialize. Around the turn of the century, caves caught the fascination of the cut stone industry, who wanted to mine cave onyx as a substitute for marble. Although the stone took a high polish, it was softer than marble, and deteriorated once removed from the cave environment. During the search for cave onyx, several caves were test bored. There was a minor craze for cave deposits as gravestones, fenceposts, and other outside decorations. After plans for the mining of Onondaga Cave fell through, it was opened as a tourist destination for the 1904 World's Fair in St. Louis, adding to the perception of Missouri as "The Cave State". Dr. H.C. Diehl, of Roxana, Ill., established an asthma sanatorium at Welch Cave,(photo above) on the Current River, to take advantage of the supposed curative properties of cave air. His hospital was first conceived in 1913, though the short lived enterprise did not open until 1937. Commercialization of caves seemed an epidemic in the early 1900's, with many of the current show cave operations commencing then. From the viewpoint of the scientist, most early research into Missouri caves was conducted by geologists and hydrologists, starting in the 1920's. Early studies by Josiah Bridge, C. L. Dake, H. C. Beckman, and N. S. Hinchey added to the basic information on Missouri Ozarks springs and caves, such as flow rates and locations. This information was further compiled by Willard Farrar into a set of "notes" which eventually became a partial cataloguing of the caves in the state. It was these notes established by Farrar (who was killed in WWII) that J Harlen Bretz of the University of Chicago consulted as he turned his studies of Missouri caves into the first extensive work on the subject. Much cave research in Missouri since 1956 has been carried on by three sorts of groups, and their members: government agencies, academics and their students, and private organizations made up of cavers. Some commercial caves, land trusts, and individual caveowners have also made contributions to the Master Cave Files, a cooperative venture between the various incarnations of the Missouri Geologic Survey and the MSS, in which the government agency (currently called the Geological Survey and Resource Assessment Division)) contributes storage space and reprographics, while the MSS does much of the field work which it shares with DGLS. In the late 1990s, the MSS and GS-RAD embarked on their current endeavor to digitize and archive the cave files, preserving the information against the day when the paper itself begins to crumble. Other sorts of publicity have caused problems for Missouri caves. Publication of locations for some of Missouri's rare cave species have caused far too many of them to end up as curiosities in jars of formaldehyde. Too much traffic from cavers and the general public have effectively trashed some of our best wild caves, beyond hope of recovery in several lifetimes. Careless and thoughtless visitors have set many others off-limits. The patience of landowners was tried once too often, and many caves are now closed to caving. The false promotion of caving as something fun to do, requiring little equipment or knowledge has lead to deaths, and too many rescues of inexperienced, ill-equipped people. 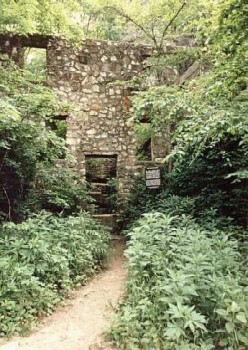 The expansion of suburbs, and construction of highways have destroyed many caves, even commercial ones like Cherokee Cave, once an active operation near downtown St. Louis. Fantastic Caverns, a cave with a fascinating history, and one of the few vehicle-toured caves in the country, lies on the northern edge of the booming city of Springfield. While promoting its cave as a natural underground wilderness home to several rare and threatened species, the management there has to keep an eye on groundwater quality to see it does not deteriorate under the onslaught of subdivisions, industrial waste, and septic systems. And the increasingly industrial nature of agriculture provides additional threats to more rural caves in the name of feed lot operations, toxic agricultural chemicals, and more intensive land use. To help cope with these threats, The Missouri Cave Resources Act was passed in 1981, and the Federal Cave Resources Protection Act (for caves on federal land) in 1989. But the stewardship of the private landowner, who own about 80% of the known caves in the state, is still the most important factor for the future of Missouri caves. Increasingly, the focus of people interested in caves has turned from finding new ones to helping conserve those we know about, a concern which prompted the founding of the Missouri Caves and Karst Conservancy in 1992. Even though more cavers are more concerned about these issues, and public education about the importance of the underground has increased, sheer human numbers is their greatest threat. There are more people going underground--both organized cavers and others. Somehow, caving has been seen to be "character-building", and caving is being used for the good of people, with little concern for the good of the caves.